The excerpt herein contains only the initial study. This article was also included in the James Begg Society Email Newsletter No.2, 4th May 2006. ‘ And if it seem evil unto you, to serve the Lord, choose ye this day whom ye will serve; whether the gods which your fathers served that were on the other side of the flood; or the gods of the Amorites in whose land ye dwell; but as for me and my house, we will serve the Lord.’ — Joshus 24:15. T HIS verse is a part of the last discourse, wherewith Joshua, the famed captain-general of Israel, entertained that people at Shechem, whither he had called them together, that he might speak hismind to them before his death, as we may understand from the beginning of this chapter. And in this farewell discourse, he first reminds them of the humbling story of their forefathers’ idolatry, before the Lord called them in the 2nd verse; and thence to the 14th verse, he entertains them with a short rehearsal of the Lord’s remarkable kindness, in the whole course of his providence to Abraham, and to his seed, for near the space of five hundred years; that is, from the time of Abraham’s being called to the present time, wherein his seed were put in the peaceable possession of the land of Canaan, according to the promise made to Abraham. After this, in the 14th verse, he infers, from the whole, a serious exhortation to serve the Lord, of whose goodness they and their fathers had so ample proofs, and to abandon those idols whom their fathers served on the other side the flood, the river Euphrates, and in Egypt. II. By a declaration of his own resolution. I. The argument lies in the first part of the verse, ‘And if it seem evil,’ &c.
Firstly, To see what the argument is. Secondly, How it is expressed. Thirdly,Why it is so expressed. Firstly, As for the argument, it is shortly this: If, while I exhort you to serve the Lord and abandon strange gods, I press you to nothing but what is evidently your interest, as well as your duty; then surely ye ought cheerfully, and of choice to comply. But so it is clearly; for what can be more evidently for your good, than to abandon idols, which you fathers found it their interest to leave, and which were not able to deliver you from your slavery in Egypt; and idols which were not able to defend their worshippers against you, and to cleave to that God of whose goodness ye have had large proofs, and your fathers also for a long tract of time? This is the argument. 1. By laying down a supposition, ‘If it seem evil,’ &c.
2. By a sort of concession upon that supposition, ‘Choose ye this day,’ &c.
1. We say, he makes a supposition, ‘if it seem evil unto you,’ &c. that is, if, after all that ye have heard and seen of the vanity of idols, and the advantage of the Lord’s service, ye can find just reason to think it for your hurt, I am not to hinder you from choosing where ye may do better. Now, this supposition imports the evident absurdity of the thing supposed, as much as if he had said, If ye seriously consider things, it cannot but seem just, reasonable, and for your interest, to serve the Lord. 2. We have, as it were, a concession, ‘Choose ye this day whom ye will serve;’ that is, if there be any with whom ye may be better, look out for them and serve them: and this, as the supposition, implies also a strong insinuation of the absurdity of that which seems allowed, as much as if he had said, it is clear as the sun, if ye leave the Lord, ye can nowhere be so well; and therefore were ye left to your choice, and did choose well, ye must serve God; reason and interest bind you to it. Thirdly, That which we are to consider, is, why this form of expression is used; why is one thing in appearance said, and the contrary meant? He supposes, that it may seem evil to serve the Lord, when he intends it highly absurd that it should do so: he refers it to them to choose another, when he means, that it is foolish to think of such a thing. For answer, this way of expressing it gives the argument several advantages. 1. 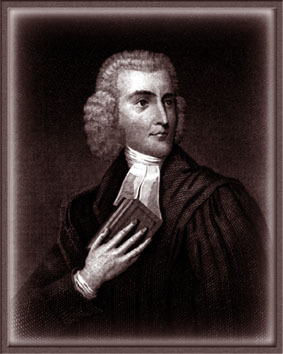 It clearly proposes a very advantageous and engaging discovery of God, as one that, in the proposal of duty, has such a regard to man’s advantage, that he would bid him do nothing but what is for his interest; as if he had said, If this were not for your good, and what may evidently appear to be so, I would not press it on you. 2. This expression sets in a clearer light the absurdity of that which he dissuades from. Had he pressed them only by a plain proposal of the advantage of the Lord’s service, they might have heard this without a due impression of the evil of the contrary course; but now they cannot miss to see how hateful it is, when it is, as it were, proposed to them to consider and choose. 3. Thus, by proposing what at present must appear detestable, it not only obliges them to an acceptance of God’s service, but to a plain and suitable declaration of their abhorrence of the service of idols. This effect we see it had upon them; for they usher in their answer with a ‘God forbid;’ which expresses a detestation of the way refused. 4. This serves to insinuate a suspicion of them, which might oblige them to declare themselves with more plainness, and with more vehemence and concern; which might be a standing witness against them and their posterity, when straying from God. Firstly, Every man is obliged to serve some god. This the argument not only supposes, but insinuates as a thing ridiculous, or so absurd, that it is not to be supposed, that any rational man can be guilty of rejecting all gods: they must serve God or idols. Secondly, The Lord binds no man to anything but what is for his good, and what may, and will, upon due consideration, appear to be for it. Thirdly, The Lord will have such as serve him, to do it upon a rational conviction of the advantages of his service; and therefore says, ‘If it seem evil unto you,’ go where ye may do better. Fourthly, The Lord fears not the issue of a fair deliberation, and the serious consideration and comparison, both of what may be said for him and against him; and therefore he bids them look if they could, upon a due consideration, prefer idols to him. Fifthly, Such as look well to idols, will soon see the folly of them. It is but look to them, and ye must abhor them. Sixthly, To be satisfied who is to be preferred, God or idols, requires no long time to deliberate: it is but look, and ye shall be satisfied, Choose ye this day. Ye may be clear on the point, says he, this very moment, before ye leave the spot. Firstly, We have the thing resolved upon, and that is the Lord’s service. 1. God has an unquestionable title to man’s obedience; he is the Lord, in a way of eminence, to whom obedience is due from all. 2. There is something engaging in God’s service, sufficient, when known, to engage man to make it his choice, notwithstanding that strong inclination he has to command, and that eager desire he has of liberty. 1. People should serve the Lord willingly: this is a binding example, one approven of God, and proposed to our imitation. 2. Such as know the Lord’s service will make it their choice. Thirdly, We have the person by whom the resolution is taken; Joshua, an old man, who had followed God through a wilderness, and many trials; and Joshua, a great man, a great general. 1. That a long trial of God’s service, even when attended with no small outward disadvantages, will not make any forego it, but rather engage them to it. 2. It derogates nothing from the character of the greatest to serve the Lord. 3. As the head of a family may prevail much upon those in the family, so his whole interest in them, and influence on them, whether children or servants, ought to be employed in order to engage them to serve the Lord. 1. Acquaintance with God fixes people immovably in his way. 2. Such as do in earnest engage in God’s way, from their own acquaintance with it, will not depend upon others in their resolutions. 1. A desire of the people’s engaging to do so, and is as much as if he had said, I would have you resolve upon it; and were ye as much under my influence as my house is, I would use my utmost interest to persuade you. 2. A direct declaration of his own resolution to keep firm to God’s service. 1. Real religion will make men careful that they themselves serve the Lord. 2. It will not rest there, but will lead us to do our utmost for engaging others. 1. True religion looks first inward to a man’s self. 2. Where a man is right engaged himself, he will use his utmost endeavours to have his family engaged also in the service of God. Firstly, In that it speaks the thoughts of a wise man to favour the way of God. Finally, Of one that they stood under many ties to have a special regard to. The rise of these truths from the words, we shall not insist upon, because it is sufficiently clear from what has already been said in opening them.